Ready to take some TIME OUT and join in our photo challenge at Time Out Challenges? Our Design Team and Janet have all made superb cards to inspire you-check them out here. 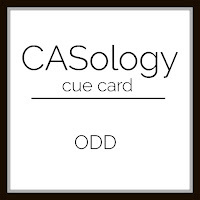 CASology-odd-I have used a flower with an odd number of petals-thanks Michele for pointing this out! So very pretty, Sandie. I love the double layered tag and that super fun flower. 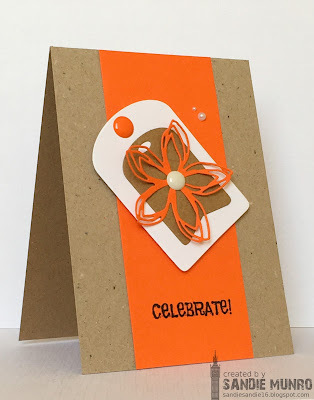 Sandie, this is a fabulous card...love the color combinations and that flower die is fabulous! Thanks for joining us at CASology! 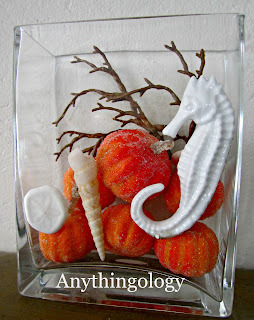 You're focusing on the center of the sand dollar is absolutely genius!!! And that C9 die was the perfect choice. You have featured it beautifully on the tag in your wonderful design. I LOVe that bold orange, Sandie! The focal point of the layered tags and flower is fabulous! Thanks for playing along with CASology this week! Wonderfully bright and CAS. So happy you could join in the fun at CASology this week.